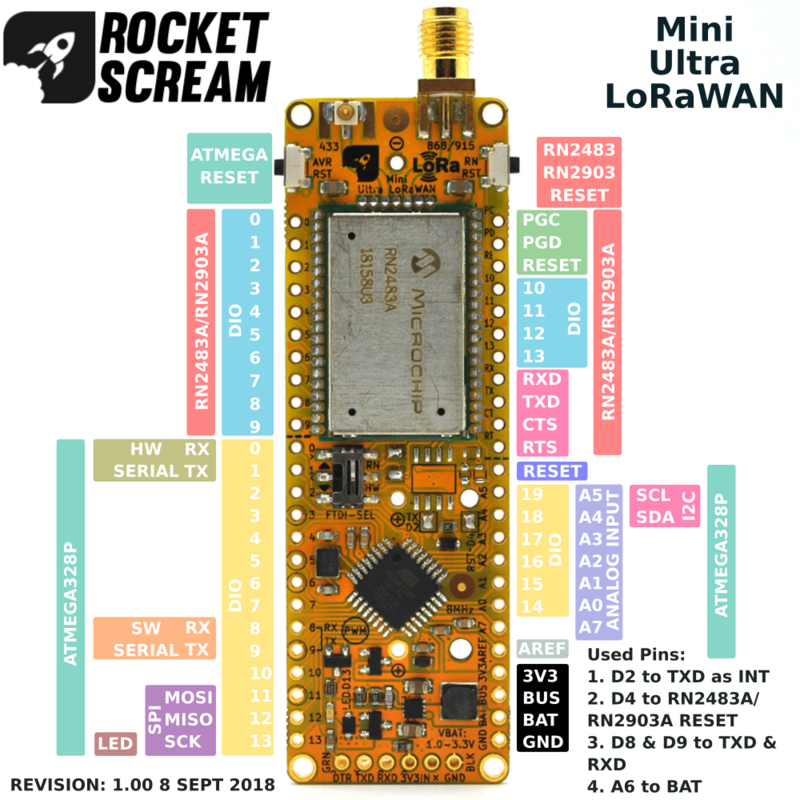 The Mini Ultra LoRaWAN is an ultra low power single cell Mini Ultra 8 MHz board combined with a LoRaWAN certified module (RN2483A/RN2903A). BAT – Single (1.5 V or 3.0 V) or dual cell (2×1.5 V) battery input positive supply. Battery power is supplied to the board through the 2.54 mm breakout pin or through the AA or CR123A battery holder. 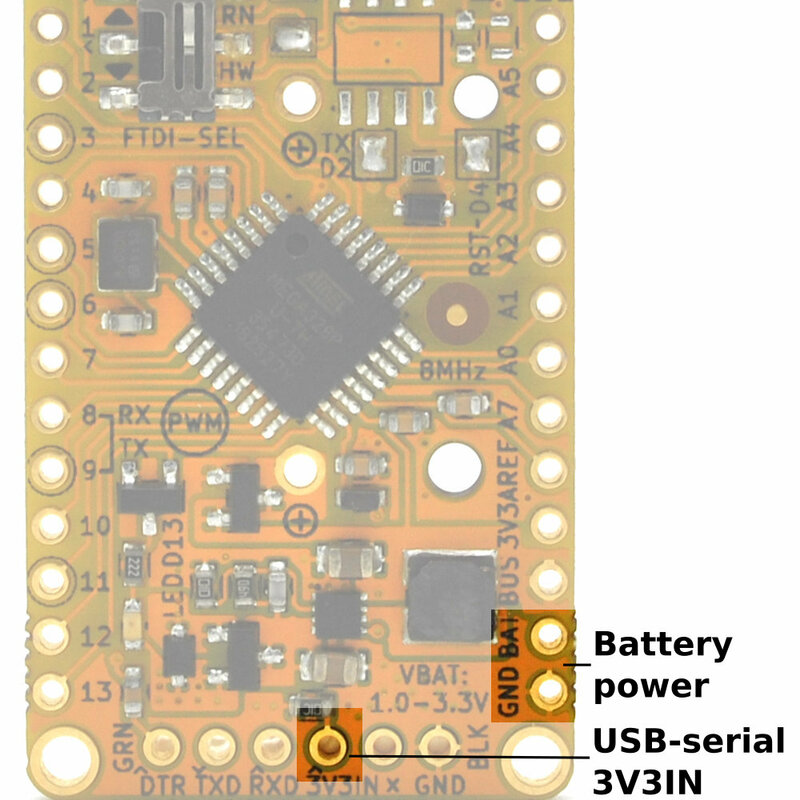 3V3IN – 3.3 V supplied by USB-Serial adapter. Please take note that it must be able to supply adequate current during transmission for proper operation. VBUS – The positive voltage output after the reverse polarity protection circuitry. All subsequent voltage rails (if required) should be derived from this VBUS supply. 3V3 – Output from the on-board 3.3 V boost converter. A maximum of 150 mA of current can be supplied by the regulator when single cell 1.5 V battery is used (200 mA of current when single cell 3.0 V battery is used). All the on-board circuit components are powered by this 3.3 V supply including the microcontroller and RN2483A/RN2903A module. All digital IO pins are 3.3 V tolerant and you are not supposed to apply any voltage higher than 3.3 V on them. Each pins can only draw/sink maximum of 20 mA of current. Pin D2 & D4 have external interrupt capability. 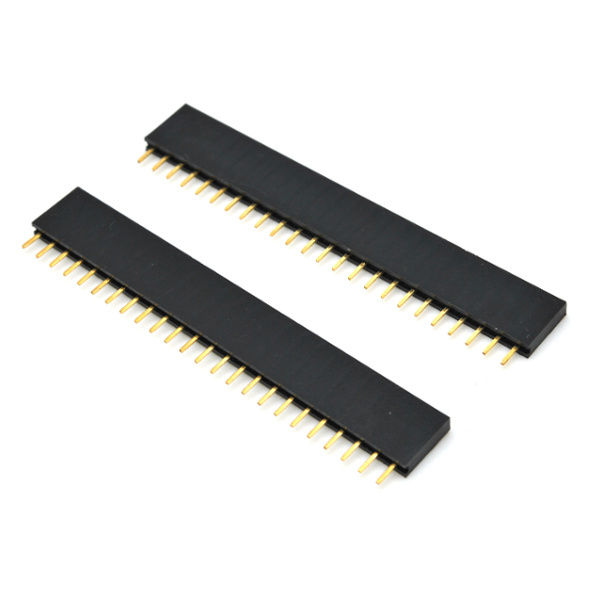 There are 7 analog input (A0 to A5 and A7, A6 is connected to VBAT and not broken out to the pin header) pins that have up to 10-bit ADC resolution (10-bit is the default configuration) and can measure voltage input from 0 to 3.3 V. By applying an external reference voltage (< 3.3 V) on AREF pin and reconfigured using the analogReference() API in the firmware, the voltage input range on the analog input pin can be reduced to increase the voltage resolution. Do not apply voltages higher than 3.3 V on the analog input pins. It will damage the board. 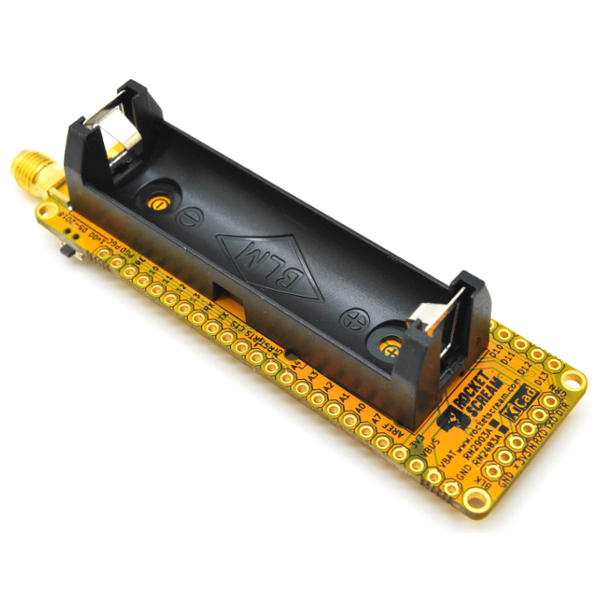 Pin D5, D6, & D11 are able to provide PWM output with 8-bit resolution. Pin D9 although is capable of providing PWM output has been used as software UART to communicate with the RN2483A/RN2903A. A 3.3V IO USB-Serial adapter are required to upload sketch to the microcontroller. It can also be used as a general debug port for your application. A slide switch is provided on-board to select which UART signal is communicating with the external USD-Serial adapter which can be either the ATMega328P’s UART or the RN2483A/RN2903A’s UART. By sliding the slider to the “RN” position, upgrading the firmware on the RN2483A/RN2903A using Microchip’s LoRaDevUtility is possible. Please see the RN2483A/RN2903A Firmware Upgrading Section. Serial – RX0 on pin D0 and TX0 on pin D1. 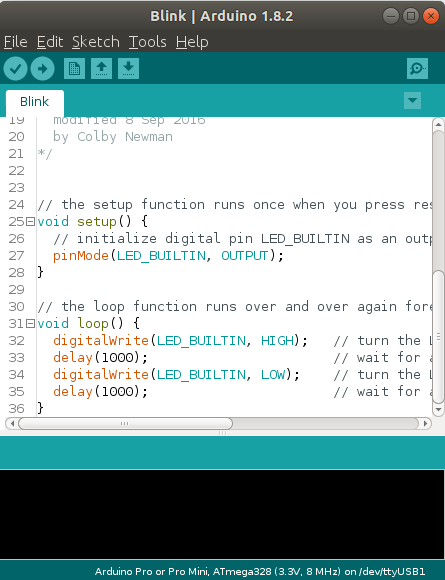 On Arduino, it can be access using Serial.begin(), Serial.println(), etc. The SPI port are provided by the MOSI, MISO, and SCK (on pin D11, D12, and D13 respectively). Pin D13 is also connected to a red LED through a MOSFET. The I2C port are provided by the SDA and SCL (on pin A4 and A5 respectively). External pull-up resistor (values from 2.2 kΩ to 10 kΩ) is required when interfacing with other I2C bus devices. Reset signal for the ATMega328P which is also connected to the tact-switch located at the left of the board. Reset signal for the RN2483A/RN2903A which is also connected to the tact-switch located at the right of the board. 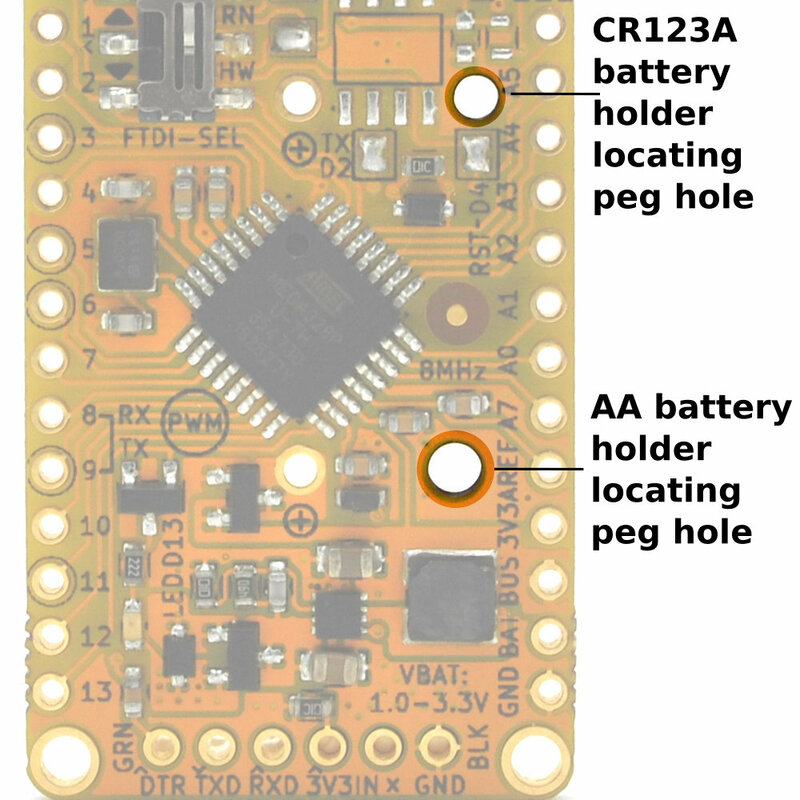 The board can accommodate a single cell AA or CR123A battery holder. These battery holder are not mounted by default. For each type of the battery holder, there is a locating peg hole to facilitate the battery holder assembly and to avoid mistake in polarity. Ensure the battery holder’s locating peg is align correctly into the hole as in the image below. It is best to solder 2 pieces of female receptacle on the board’s pins breakout header in order to stack your application specific circuitry. The board can be battery powered or through the USB-Serial Adapter 6-pin header’s 3V3IN pin. 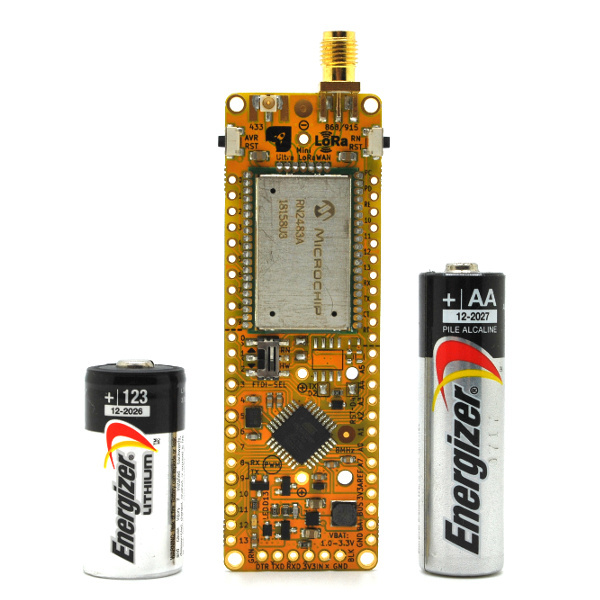 The Mini Ultra LoRaWAN can be powered by single cell non-rechargeable batteries – 1.5 V Alkaline, zinc-chloride, zinc-carbon (AA, AAA, C, D – in single or dual configuration) or 3 v Lithium (CR123A). This battery power is supplied to the board either through the breakout header BAT pin or through the battery holder (AA or CR123A). 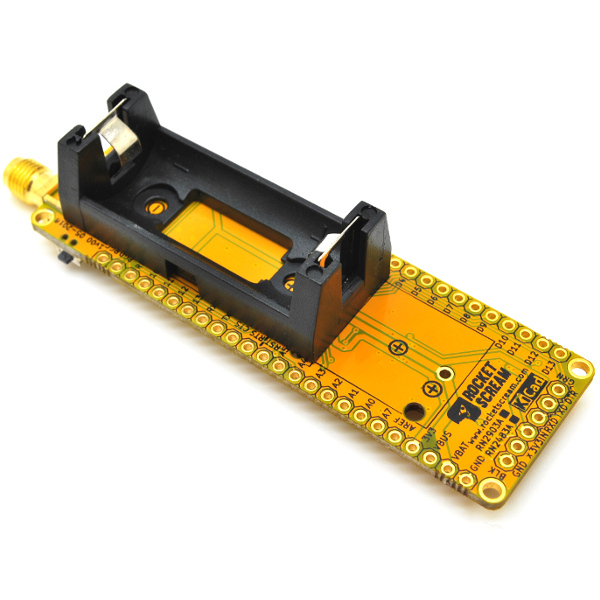 The Mini Ultra LoRaWAN can also be powered through the USB-Serial adapter if it has a 3.3V output with enough output capability (recommended to be 150 mA and above). Majority of the USB-Serial adapter has a limited 50 mA output (mostly FTDI based ones) which is not adequate to power the board especially during the transmission. This will result is erratic behavior and reset will occur frequently. It is also very often that even in the case of the USB-Serial adapter is capable to provide adequate current on the 3V3IN pin, USB port with limited current capability (usually front port of PC or old USB port) will also result in similar board behavior. Under the “Tools >> Board” menu, select the board as “Arduino Pro or Pro Mini”. Then, under the “Tools >> Processor:” menu, select “ATmega328 (3.3V, 8 MHz)”. Now we are ready to upload our very first program on the Mini Ultra LoRaWAN. Attach the Mini Ultra LoRawAN using a FTDI USB-Serial adapter cable and select the correct corresponding USB COM port. Load the example “Blink” under the “File >> Examples >> Basic >> Blink” menu. The Mini Ultra LoRaWAN has an on-board LED (red) connected to pin D13 that you would usually find on any regular Arduino board. Press the upload button and that shall load the program on the Mini Ultra LoRaWAN. You should be able to see the on-board orange LED blinking at a 1 Hz rate.